The Apple Watch hasn’t had a big design change in a long time, but the next-gen version might shake things up a bit. 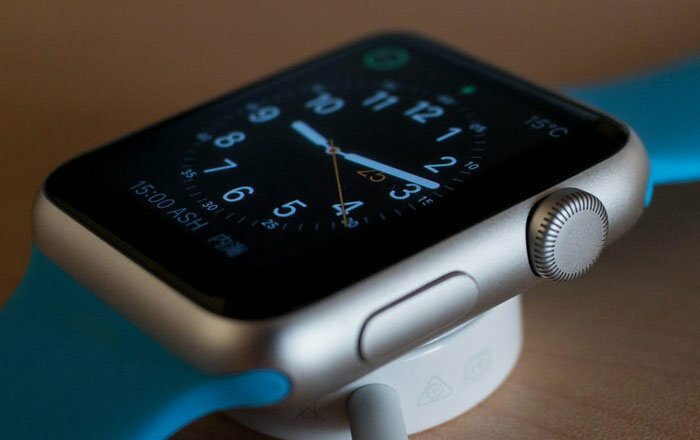 A new report claims that the smartwatch will ditch its mechanical buttons for solid state ones. Solid state controls are nothing new for Apple. It’s the same mechanism found in the iPhone 7’s home button, the MacBook’s trackpad, and the iPod’s control wheels. The key looks like a standard button, but it doesn’t move up and down physically. Instead of a click, you’ll feel a vibration. A source with direct knowledge of Apple’s plans told Fast Company that the same button and digital crown will be found on the side of the device. Both are apparently going to vibrate slightly when it detects a finger. The company’s said to be using the same Taptic Engine found in its iPhones and previous Apple Watches, using it to deliver haptic feedback. What’s interesting is that the digital crown may still rotate to help you navigate the Apple Watch. It’s just that there won’t be any moving parts involved. Solid state buttons offer a couple of big advantages. For instance, the smartwatch will become even more water resistant since there won’t be any openings for a mechanical button. Solid state keys take up less space as well, leaving more room for a bigger battery. This is in line with earlier rumor about the Apple Watch Series 4, so expect a better battery life this time round. There’s also the fact that these controls won’t be at risk of damage the same way a physical button would. Apple is reportedly planning on placing sensors on top of the new buttons to gather heath data about you like your heart rhythms. The current Apple Watch has a heart rate sensor at the back, but some measurements require more than one point of contact. It’s easy to see why Apple is going in this direction, what with all the stories about the Apple Watch saving lives. The source says all these changes could debut in 2018, but if it doesn’t then we should expect it in the 2019 edition. This shift might just be a momentary phase for Apple since the brand is supposedly working towards a truly button-less Apple Watch. Specific areas on the side of this future device would respond to touch. It’s a natural direction for Apple to take after removing the home button from the iPhone X and headphone jack from the iPhone 7. The brand’s clearly on a mission to eliminate all external parts and the Apple Watch could be its next target.